as we receive new info. Listing below is by County / Date. We do our best to ensure that the information on this page is correct. However MAST accepts no liability for the content of this list or for the consequences of any actions taken on the basis of the information provided. If you notice any errors please email us at info@mast.ie. 14: Irish Vegan Festival, Europa Hotel, Great Victoria Street, Belfast. 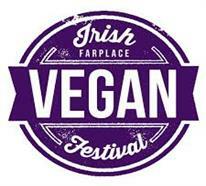 Email festivals@farplace.org.uk, web http://www.irishveganfestival.com. 22: Ballycastle Easter Monday Market, Marine Hotel, 1-3 North Street, Ballycastle. Info 0044 7723622008, Facebook https://www.facebook.com/events/393051067918975. 26-28: World Tattoo Festival, Eikon Exhibition Centre, Balmoral Park, Sprucefield, Halftown Road, Lisburn. 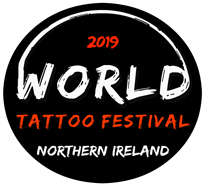 Email info@worldtattoofestival.com, http://www.eikonexhibitioncentre.co.uk/upcoming-events/world-tattoo-festival. 28: Our Wee Craft Village, Lough Neagh Discovery Centre, Oxford Island National Nature Reserve, Craigavon. 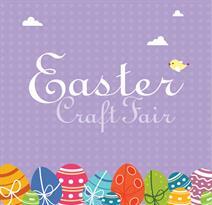 Info 048 38348875 (from RoI), email events@dananncrafts.com, Facebook https://www.facebook.com/events/318304535466693. 12-14: Carlow Fleadh. Info 0868652554, Facebook https://www.facebook.com/carlowfleadh. 14: Carlow Antiques & Vintage Fair, Woodford Dolmen Hotel, Kilkenny Road, Carlow. Info 0858629007, email darcy@vintageireland.eu, web http://vintageireland.eu. 14: Ennistymon Horse Fair. Info Matt 0872969416. 25-28: CONSAIRTÍN, The National Concertina Convention, Ennis. Info Aine 0862612127 or Tim 0872605689, email eolas@consairtin.ie, web http://consairtin.ie. 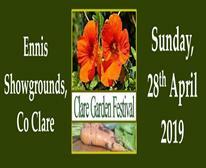 28: Clare Garden Festival, Ennis Showgrounds, Drumbiggle Road, Ennis. Info 0876117538 web http://www.claregardenfestival.com, Facebook https://www.facebook.com/claregardenfestival. 6: Taste the Wild Atlantic Way Street Feast, Kinsale. Facebook https://www.facebook.com/events/229696911156564. 7: The Cork International Car Show, Cork Airport Business Park. Info 021 4549890, email rgreaves@trigonhotels.com, Facebook https://www.facebook.com/corkinternationalcarshow. 7: 2019 All Ireland Chowder Cook Off, Kinsale. 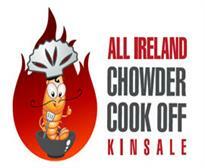 Info 021 4773571, email info@kinsalerestaurants.com, web http://www.kinsalerestaurants.com/event/allirelandchowdercookoff. 13-14: Cork Mind Body Experience, Cork City Hall. Info Freddy Roberts 0863165049, web https://psychicholisticfairs.com, Facebook https://www.facebook.com/events/709982179381470. 14: Millstreet Vintage Club autojumble, Millstreet. Info Dan 0872452569. 14: Cobh Summer Swing Records, Vinyls & CDs in the Marquee. Info Peter 0868153922, 021 4814617, email cobhsummerswing@gmail.com, Facebook https://www.facebook.com/cobhsummerswing. 20-22: Racing Home For Easter Festival, Cork Racecourse, Mallow. Info 022 50207, email info@corkracecourse.ie, http://www.corkracecourse.ie. 22: Classic & Old Skool Easter Show, Ballincollig. 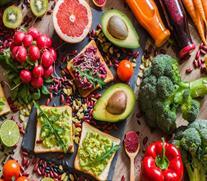 Info Robert 0860741482 or Denis 0879874507.
corkvegfest@gmail.com, web http://corkvegfest.com, Facebook https://www.facebook.com/events/872227846315120. 27: Sky Dive 2019!, Eyries Village, Beara Peninsula. Email eyeriesfestival@gmail.com, Facebook https://www.facebook.com/Eyeries-Family-Festival-113072942101662. 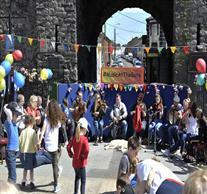 27-29: Fleadh Cheoil Chorcai, Dunmanway. Info John 0876387326, email johnfinbarr.cce@gmail.com, web http://www.corkleadh.ie. 28: Bandon Vintage & Old Time Fair, Bandon GAA Grounds including autojumble. Info Declan 0877614425. 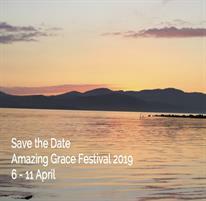 6-11: Amazing Grace Festival Buncrana. Contact page http://www.amazinggrace.ie/contact-us.html, web http://www.amazinggrace.ie. 19: Inisihown Agri Show Easter Bazaar, The Aras, Carndonagh Community School. Email inishowenagrishow@hotmail.com, Facebook https://www.facebook.com/Inishowen-Agricultural-Show-776504499114090. 20: Ballyliffin Coastal Challenge. Info Patsy McGonagle 0872226112, email ballyliffincoastalchallenge@gmail.com, Facebook https://www.facebook.com/ballyliffincoastal. 21: Donegal Vintage & Classic Car Club’s 20th Anniversary Easter Sunday Show, LYI Letterkenny. Info Fergus 0872059826 or Eunan 0872366924. 22: Donegal Vintage & Classic Car Club’s 20th Anniversary Easter Sunday Show, LYIT Letterkenny. Info Fergus 0872059826 or Eunan 0872366924. 23-28: Pan Celtic Festival, Letterkenny. 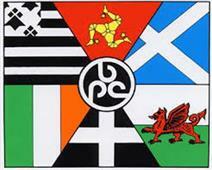 Info 074 9153900, email pancelticdonegal@gmail.com, web http://panceltic.ie/index.asp. 28: South Donegal Vintage & Heritage Club’s Annual Field Day, Rossnowlagh. Info 0876165431 or 0872069113. 5-6: The Irish Franchise Show, RDS. Info Simon 0044 1179 902091, email Simon.chicken@comexposium.com, http://thefranchiseshow.ie. 6: The Spectacular Vintage & Bespoke Wedding Fair, Luttrellstown Castle, Castleknock. Info 0872025252, email info@spectacularvintageevents.com, web http://spectacularvintageevents.com. 6: Bakeyard at Eatyard, 9-10 Richmond Street South, Dublin 2. Email info@the-eatyard.com, Facebook https://www.facebook.com/events/355891945014345. 6-7: Pregnancy and Baby Fair, RDS. 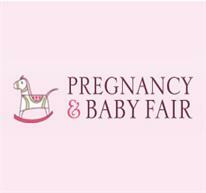 Email info@pregnancyandbabyfair.ie, http://www.pregnancyandbabyfair.ie, Facebook https://www.facebook.com/IrelandsPregnancyAndBabyFair. 7: Spring Sale, St. Joseph’s Parish Hall, Terenure in aid of the missions. Info 0864071974 or 01 4909360. 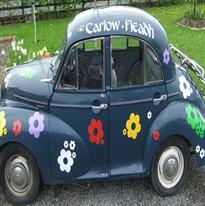 7: Classic Car Show, Sale & Autojumble, National Show Centre, Swords. Trade stand info Paul 0872230254. 12-14: Ideal Home Spring Show, RDS. Info Karen Rutter 01 4055541, email karen@sdlexpo.com, web https://idealhome.ie. 13-14: People’s Art & Craft Fair 2019, St. Andrew’s Church, Main Street, Lucan. 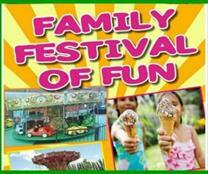 19-22: Family Festival of Fun, Malahide Castle with free outdoor movies on the 21st and 22nd. Info Andre Jenkinson 0879017693email andrejenkinson@gmail.com. 28: Antiques, Vintage & More Fair, Royal Marine Hotel, Dun Laoghaire. Info 0858629007, email darcy@vintageireland.eu, web http://vintageireland.eu. 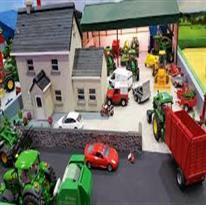 7: Miniature World Diecast Model, Diorama & Toy Show, Leisureland, Salthill. Info 091 388805, email events@irishvintagescene.ie. 14: Barna Artisan Easter Fest, Barna School Hall. Info 0877675474. Email bearnaartisaneasterfest@gmail.com, Facebook https://www.facebook.com/events/298820774098921. 14: Mountbellew Vintage Club’s Annual Autojumble & Classic Car Show, Mart Grounds, Mountbellew. Info Michael 0872879242 or Eugene 0876401972, web http://www.mvc.ie. 14: Connemara International Marathon. 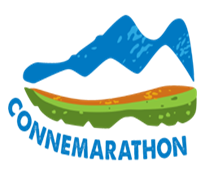 Email info@connemarathon.com. Facebook https://www.facebook.com/connemarathon. 7: Tralee Psychic & Holistic Fair, The Grand Hotel, Denny Street, Tralee. . Info Freddy Roberts 0863165049, web https://psychicholisticfairs.com, Facebook https://www.facebook.com/MindBodyExperienceEvents. 7: Naas Antiques, Vintage & More Fair, Osprey Hotel, John Devoy Road, Naas. Info 0858629007, email darcy@vintageireland.eu, web http://vintageireland.eu. 20 Apr-4 May: Punchestown Festival, Punchestown Racecourse, Naas. Info 045 897704, email info@punchestown.com, web https://punchestown.com/festival-2019. 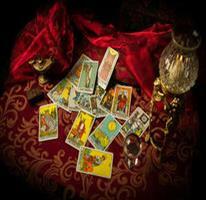 28: Portlaoise Psychic & Holistic Fair, The Midlands Park Hotel, Jessop St, Portlaoise. Info Freddy Roberts 0863165049, web https://psychicholisticfairs.com, Facebook https://www.facebook.com/MindBodyExperienceEvents. 14: North West Vintage & Heritage Club Annual Autojumble, Bee Park Resource Centre, Manorhamilton. Info Sean 0864009070. 26-28: Leitrim Fleadh. Info Monica comhaltasleitrim@gmail.com or Maura email bellanaboy@yahoo.ie. 22: Carlingford Flea Market, St. Michaels Hall, Carlingford. Info 0838285162, email edwinamcnamara@yahoo.co.uk, Facebook https://www.facebook.com/events/2258416434406285. 28: CRV Commercial Vehicle Show, Dundalk Racecourse featuring vintage trucks, vans, models. Info 0879972495. 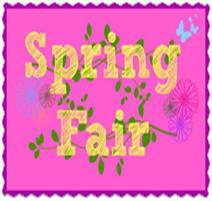 14: First Annual Spring Market, Claremorris Townhall Theatre. Info Donna 094 9310999, email d.ireland@townhall.ie, web https://townhall.ie. 21: Novice County Ploughing Match. Info John Joe Lawless 0879646928. 22: Connacht Veteran & Vintage Motor Club’s Easter Monday Indoor Show, Breaffy House, Castlebar. Info Michael 0868120127. 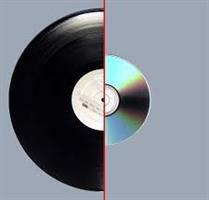 5: Record Fair, The High Horse, 7 Market Street, Trim with Boyne Valley Electronic Arts Festival. Email irishrecordfairs@live.ie, Facebook https://www.facebook.com/events/370243657121904. 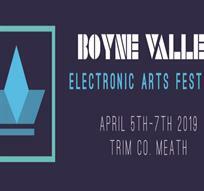 5-7: Boyne Valley Electric Arts Festival, Trim. Email boynevalleyarts@gmail.com, web https://www.boynevalleyartsfestival.com. Facebook https://www.facebook.com/events/288280445376569. 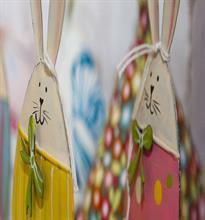 6: Easter Craft Fair, Ashbourne House Hotel, hosted by Ashbourne Community School. Info 01 8353066, email admin@ashcom.ie. 28: Holistic Fairs Ireland, Ardboyne Hotel, Navan. Email holisticexhibitors@gmail.com, http://www.holisticfairsireland.com. 26-28: Fleadh Cheoil Uíbh Fhailí 2019, Edenderry. 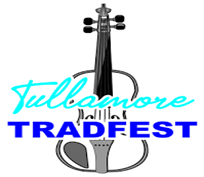 Email Mary gormagh@aol.com, web http://www.offalyfleadh.com/fleadh-cheoil-uibh-fhaili-2019. 19-22: Roscommon County Fleadh, Ballaghadereen. 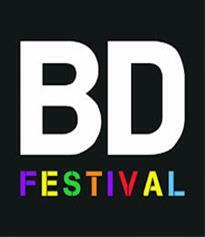 Email info@ballaghaderreen.com, Facebook https://www.facebook.com/events/2275762036014726. 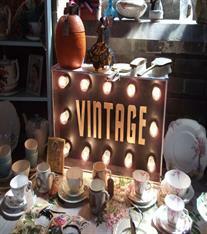 14: Antiques, Collectables & Vintage Fair, Clayton Hotel, Clarion Road, Sligo. Info 0872831027 or email treasurechest@ol.ie. 14: Jumble & Bric-a-Brac Sale, Holycross Community Centre, Holycross. Info Anne 0868173299, email hogans_gifts@hotmail.com. 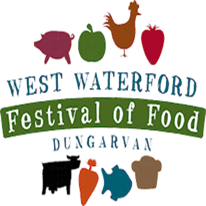 26-28: West Waterford Festival of Food, Dungarvan. 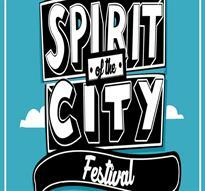 Info 058 21433, Facebook https://www.facebook.com/WaterfordFoodFestival, web http://www.westwaterfordfestivaloffood.com. 7: Holistic Fairs Ireland, Park Hotel, Mullingar. Email holisticexhibitors@gmail.com, http://www.holisticfairsireland.com. 13: Arts, Crafts, Vintage & Holistic Fair, Community Hall, Moate. Info Marie 0873933738. 28: Midland American Auto Club Show, Kilbeggan (opposite Racecourse entrance). 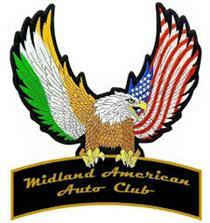 Info 0872388400, email info@maac-ireland.com, web http://www.maac-ireland.com, Facebook https://www.facebook.com/Midland.American.Auto.Club. 21-22: Wexford Model Railway Easter Show, St Joseph's Community Centre, Bishopswater. Facebook https://www.facebook.com/events/345653402823881. 27-28: Wexford Sports & Classic Car Club’s sPring Challenge, The Quays, Wexford Town with static show on 27th. Info 0851477633, Facebook https://www.facebook.com/Wexford-Sports-and-Classic-Car-Club-518304384849490/?__tn__=%2Cd%2CP-R&eid=ARC8N3Cw8qTCmbooHIRhU_p_QzNyzxZczKANAXBusKZEB2mVindSOsh3GXqzMnWx_nWmlQhVW-eARCua. 21: BD Woodlands Festival, Glendalough House, Raheen, Annamoe. Info 01 4979337, email info@eventfuel.ie, Facebook https://www.facebook.com/events/376172549845670/?notif_t=event_calendar_create&notif_id=1549028834071846.